This paper pad of 4" x 6" Journaling Notecards. You'll find fifteen (15) Designs and three (3) sheets of each design. 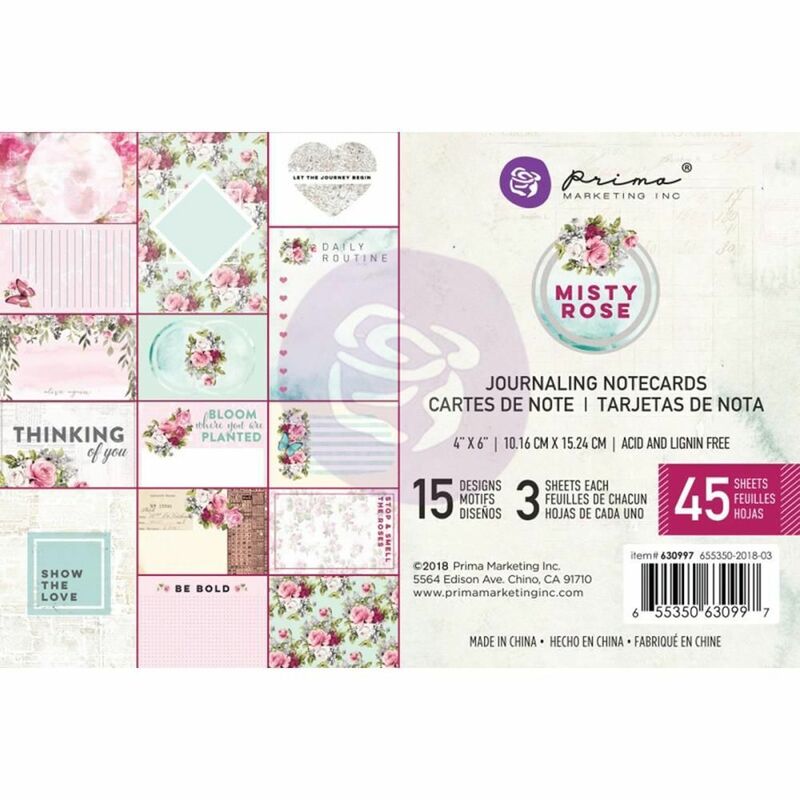 Part of the Misty Rose Collection by Prima Marketing look for coordinating Designer Papers & Embellishments.